For top Google search engine rankings you may be competing with anywhere from a few thousand to in the tens of millions of other websites. At first glance the prospect of getting a high ranking is very small for new websites. There are a lot of confusing SEO information and technical hurdles to jump over. You may think you need to spend a significant amount of money have a chance of success? You think that you need to employ an SEO Specialist? Or you think all you need to do is buy SEO tools from the product marketing leaders? How does achieving high SEO rankings at little cost and with minimal effort sound? The following SEO tips cover simple practical processes, tools and the basic SEO knowledge needed attain a significant search engine indexing ranking. The website tools included in the high ranking seo tips have been carefully selected and evaluated. People use Google search to find products and services by entering keywords associated with the items that they are looking for. These are primary keywords that are known as category keywords which websites use in their web page titles and header files. Search engine analysis data is information accumulated over time about website related search activities. Search engine analysis data is backward looking and is often either in accurate or out of date. The most useful basic information is the keyword related competition, daily traffic, regional traffic distribution and traffic trends. Selecting an SEO tool or SEO services is like buying a mutual fund or stock, past performance is no guarantee of future performance. Many SEO tools simply repackage information that can be easily found on the web for free. Not all search engine categories attract significant search traffic. Many category keywords should be avoided. Select a search engine category with an undervalued keyword which has visitor traffic. https://adwords.google.com/select/KeywordToolExternal is a free tool that will provide basic keyword analysis information. Use Google search to find the top ranked websites in the same category and assess those sites for their content quality in relation to your website. Do they provide additional value that your site is missing? Check the competition for their text content, their use of media, pictures and back links. Many websites may get the high ranking because they have a high authority ranking. High authority websites can be weak in the web page category that you are competing for. The key to gaining a top ranking is to pick your category carefully and to be able to exploit the weaknesses of your competition. Some top ranked websites are not SEO optimized and can be out ranked using appropriate SEO tactics. Many websites that use SEO tools and services still fail to get the SEO basics correct. Be smart don’t expect SEO tools and services to do all the work because you will be disappointed! Understand and do the SEO basics correctly. Understand that rankings apply to web pages and blog pages not to websites. Web page and blog internal SE optimization is critical for obtaining correct search engine indexing. Following Google’s recommended website submission process. Carefully maintaining supervision of the submitted content will improve your web page ranking chances. Using fresh high quality text content, large pictures with “alt” text keywords, embedded video, and category supporting keyword links that your competing web pages may not have will take you to the top rankings. Quality back links from social media, public blog sites, forums and professional websites should be added. Avoid low quality links and paying for links. 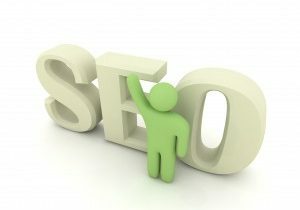 Read my SEO blogs for details on the SEO basics, for details on analysis and strategy. Invest in tools that give you an advantage over your completion. Don’t pay for something that you can get for free. For WordPress websites add your category and tag keywords to your posts. 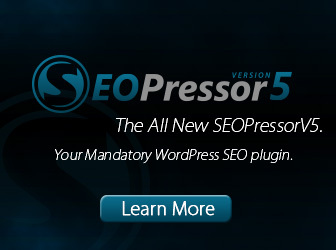 Invest in the SEOPressor to manage you internal keyword optimization. Use the “FV All in One SEO Pack” WP Plugin to manage your website web page keyword content. Use a web page readiness checker like www.creatingonline.com/webmaster/ to ensure your content is correctly optimized before you submit your website to Google. Use http://www.xml-sitemaps.com/ to generate your sitemap.xml file It’s easily edited in a text editor and is easy to understand, consisting of the web page URL information. Ensure that only the correct information is submitted. Sitemap.xml files have to be transferred into your website home or public_html directories. Continue to actively update your web page content. Use this great free domain name backlink analysis tool at: Open Site Explorer to check your link authority and compare it with your competition. If you are going to pay for an SEO analysis tool get the best value. I recommend and use SECockpit/ which uses the most accurate up to date SEOmoz data. Kick start your web page ranking with some paid advertising. Also checkout my elegant WordPress Website Review for some additional useful SEO information. I have a screen shot of one of my search engine rankings. Register in my resources page to find the simple way to get similar results. PS: Go to my http://www.wordpress-seo-strategy.com website for blogs on SEO basics, SEO analysis and an upcoming blog on SEO strategy.